Have you or a loved one ever needed the services of the Lincs & Notts Air Ambulance? If you’re a former patient and would like to share your story, the Charity would love to hear from you. If you would like to get in touch, email enquiries@ambucopter.org.uk or you can write to: My LNAA Experience, LNAACT House, Bentley Drive, Bracebridge Heath, Lincoln, LN4 2QW. 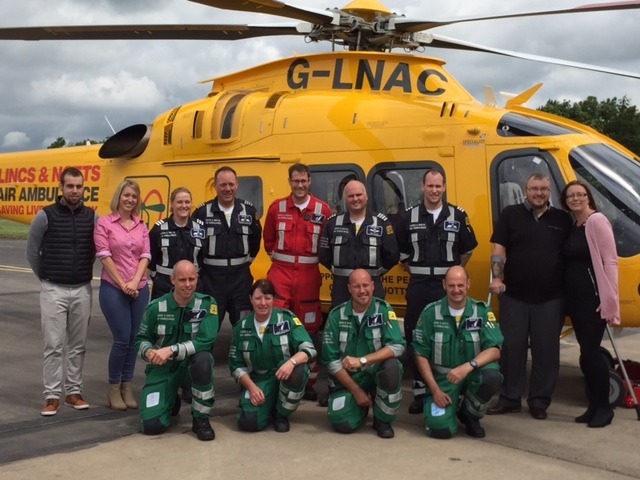 The Lincs & Notts Air Ambulance website also has details on how former patients can share their experience. Visit our Patient Stories page to find out more.